In order to streamline our program, we are announcing a change to all AAdvantage miles earned before July 1, 1989 (Miles With No Expiration). Starting on November 1, 2012, these miles will be converted to Miles Subject to Expiration, and if you have Miles With No Expiration in your account, you will automatically earn a 25% mileage bonus when these miles are converted. 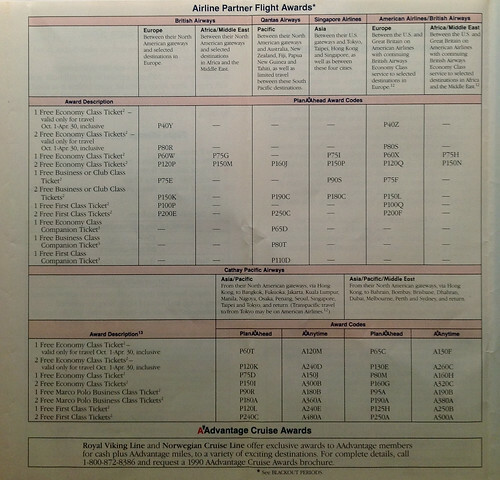 If you have more than 10,000 Miles With No Expiration, then you may redeem these miles for “Regular” Awards from the original AAdvantage award structure by calling AAdvantage Reservations at 800-882-8880 (“Regular” Awards start at 10,000 Miles With No Expiration). 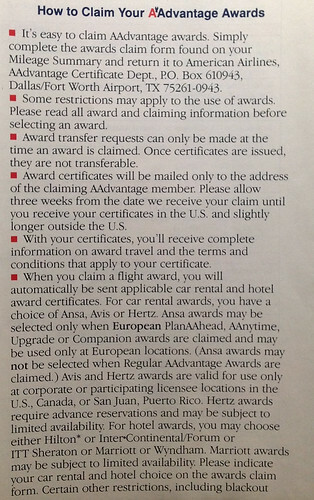 If you have less than 10,000 Miles With No Expiration, then you can combine these miles with any Miles Subject to Expiration to claim awards from our current structure on AA.com. 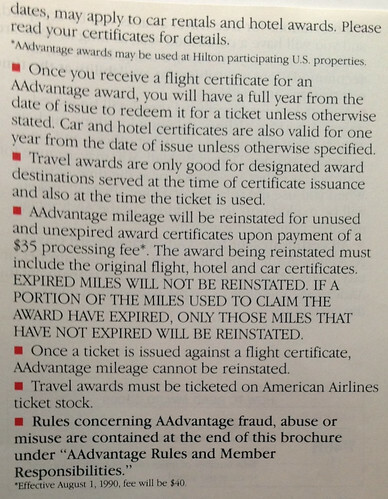 On November 1, the original AAdvantage award structure will be discontinued, and miles may no longer be redeemed for those awards. Back in 1989 most of my travel was on $29 – $59 Southwest Airlines student fares (those were the days….) and my only frequent flyer program was Southwest’s Company Club. I didn’t join AAdvantage until 1990. Actually, I joined AAdvantage twice: I sort of lost track of that original account, and when I switched from Delta to American ten years ago, I opened a new AAdvantage account and have been earning AA miles ever since. A few years ago I found a box of old airline tickets and timetables in my parents’ garage. 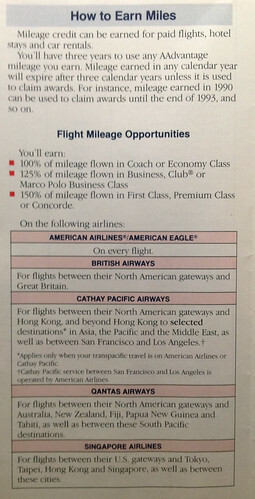 Also inside that box was a 1990 AAdvantage membership guide, and reading about these old miles reminded me that I still have it, so I decided to scan it and put it online. The guide has a metallic silver ink cover. That must have been expensive. 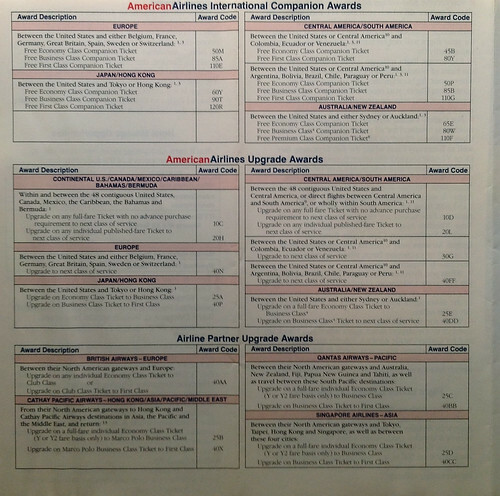 American and American Eagle Award Chart. Back then it cost the same number of miles round-trip or one-way. Companion Awards and Upgrade Chart. Notice that Singapore was a partner back then. 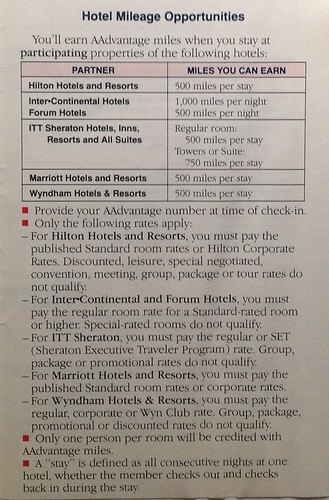 This must have been before the had an elite program – no mention of elite qualifying miles. From 6 to more than 76 partners. Since there was no “online” back 1990 awards were redeemed at a ticket counter or through the mail. Wow, how times have changed. That was many years and many miles ago….and that brings me to the reader giveaway. I’m giving away 1,000 Free AAdvantage Miles and a 10 percent discount code! 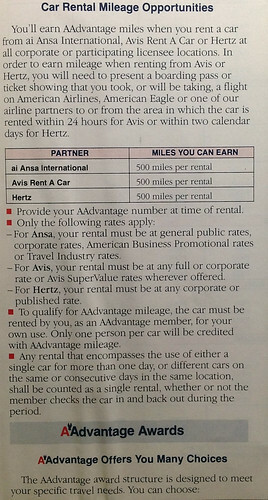 The miles are courtesy courtesy American Airlines (thank you) and the discount comes from a reader. To enter, just tell me when you joined AAdvantage by leaving the year in the comments section. I’ll have a random drawing on Monday. One entry per person. The deadline to enter is Sunday, July 22 at 11:59 PM Pacific Time. I finally converted over from Qantas’ frequent flyer program to AA in 2011. Should have done it much earlier than that! 1986 – but those miles have long been burned! 1990-seems like a long time ago! 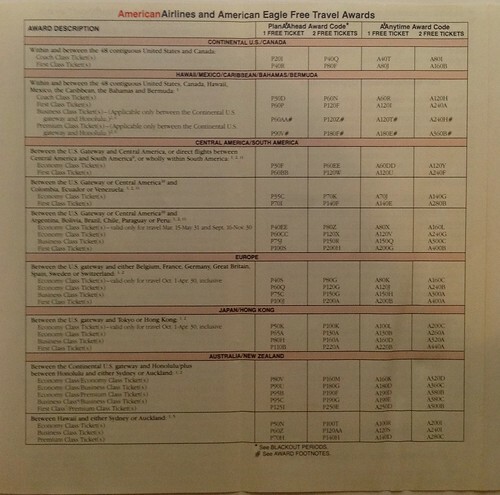 Friday, June 18, 1993….back when AA gave you a 500 mile bonus when booking online! Wednesday, August 26, 1998, 1,805,042 miles ago…..
2008… though I wish I would have done it sooner. 1990, same as you! Love that the guide you posted references the Concorde. Also 1990 – my parents signed me up. I was 10. 1992, give or take a couple of years. 1987, in my first semester of graduate school, for a trip back home across the country. Sadly, I joined in 2007. Oh, if I knew then what I know now! Like you, I think I’ve had a couple of iterations. I’m pretty sure my current one dates to 2001, as a conversion from TWA’s program. I joined the AAdvantage program as a college student in 2010 after going to Chile and learning that you could get miles for flying. I’ve been hooked since! 1993 – not as long as some others but being that I’m only 26 it is a pretty long time for me. 1992. Mine begins with a letter! May 25, 1988 and was a member of TWA’s program since March, 1986. Well, I just looked mine up.. and it was Dec 26, 1985!!!! I think it was in the late 80’s. April, 1991. AA and I go waaay back! 2005, to earn miles on my flights home from college at GW – DCA/MIA rt a few times a year. 2012, on my way to Gold the first year after this next flight. I was born 4-27-86. My dad signed me up the day after I was born, thanks dad!